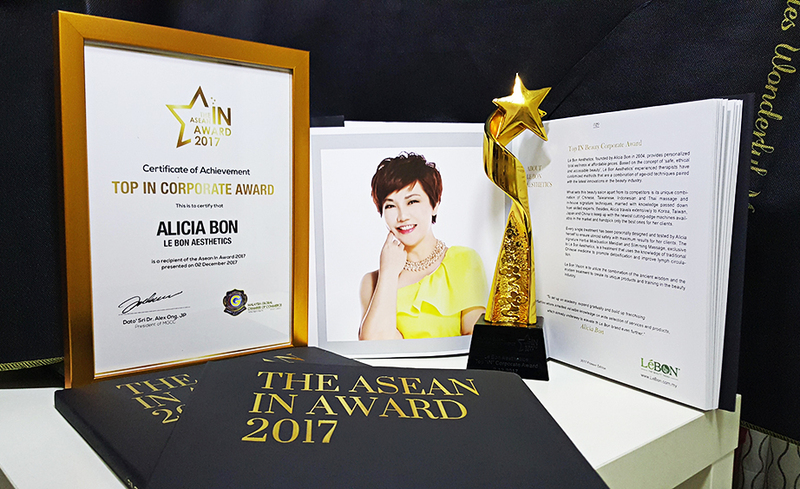 Founded by Alicia Bon in 2004, Lé Bon Aesthetics offers professional and effective beauty, slimming massage, slimming therapy and high-tech beauty centers at Kepong. LeBON's corporate concept provided safe and effective treatments from a group of experienced consultant. LeBON researches Asian massage techniques combined with LeBON unique skills and theory as a brand treatment’s technique, in terms of keeping up with the newest machines available in the market, Founder's Alicia travels extensively to Asia to handpick the best for her clients. Besides, founder's Alicia personally designed and tested every treatment to ensure utmost safety with maximum results. LeBON combined hand-manual techique with modern technology transform into effective slimming, wellness massage and facials treatments, chinese medicine moxibustion and slimming massage are the signature treatments of LeBON, they can alleviate the pain of the old body and relieve the troubles of modern diseases, so that lymph can promote detoxification, strengthen blood circulation, reduce edema and engrave the perfect body curve. Missions： To set up an academy, expand gradually and build up franchising opportunities where inherited valuable knowledge on wide selection of services and products, which already underway to elevate the Lé Bon brand even further.